Pete Bernardo (center left) and Dr. George Vourlojianis (center right) stand with fellow veterans of the Vietnam War following the A.C.E.S. lecture. Dr. George Vourlojianis ’70 and Pete Bernardo ’67 led a session of the Alumni Continuing Education Series (A.C.E.S.) on Tuesday night, sharing stories and the history of the Vietnam War against the backdrop of Miss Saigon. 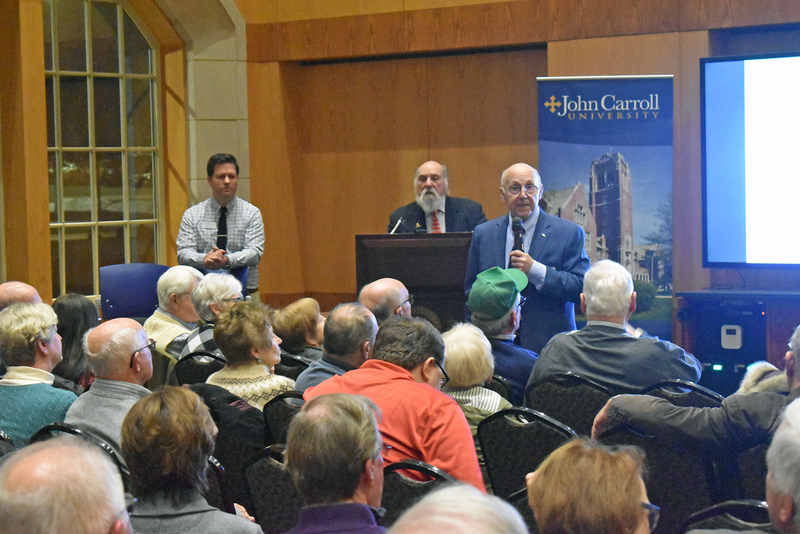 Dr. Vourlojianis, a faculty member in the Department of History at JCU, walked the capacity crowd in the O’Connell Reading Room through the complicated societal and political problems faced by Vietnam. His lecture covered the history of the country through the incident in the Gulf of Tonkin, and provided a look into the people, policies, and choices which propelled the United States into a conflict with Vietnam. Bernardo explained the plot of the acclaimed Broadway play, and related the experiences of the main character to the realities civilians faced during the conflict. He also shared his experiences in Vietnam, including many of his own pictures. His presentation concluded with an effort to dispel myths about the Vietnam War. Pete Bernardo (right) and Dr. George Vourlojianis (center) answer audience questions following Tuesday’s lecture. Members of the JCU Cleveland Alumni Chapter will attend Miss Saigon at the KeyBank State Theater in Playhouse Square on Saturday, Feb. 16. 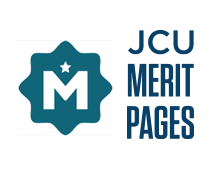 Learn more about upcoming events at go.jcu.edu/alumni, or by emailing alumni@jcu.edu. The full A.C.E.S. lecture can be watched below.